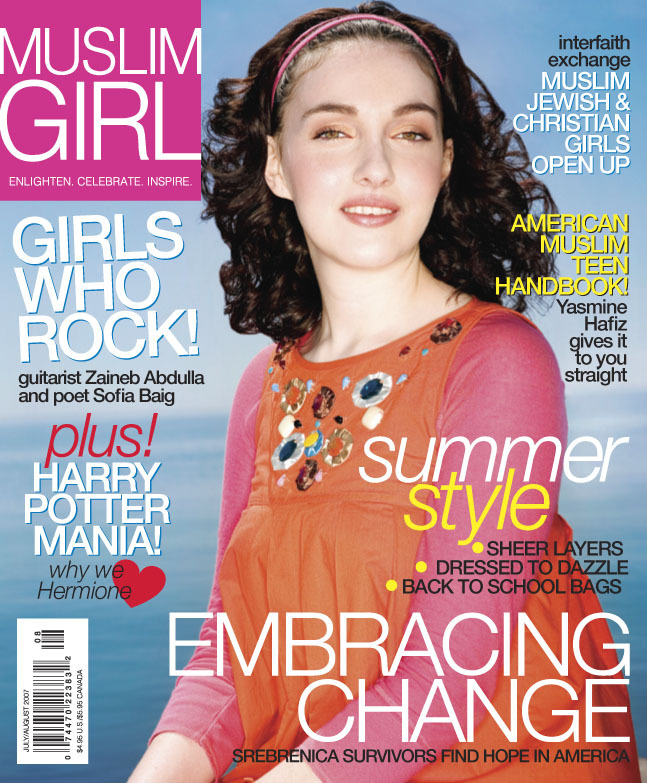 Muslim Girl magazine, published bimonthly since January 2007, targets the 400,000 women, ages 18-24, in the U.S. and Canada, who practice Islam. It’s the only beauty and lifestyle publication that does. Ausma Khan is the guest today on my WBAI-NY / 99.5 FM radio show, NONFICTION, this afternoon, Friday, August 8, 2 pm ET. In their preliminary research, Khan says her team kept hearing girls and young women in both countries speak about “a sense of exclusion and alienation and isolation” from the dominant national and cultural discourse. You can hear Ausma Khan’s thought-provoking ideas by tuning in at 2 pm. If you’re outside of the New York tri-state, you can check out our stream on the web. If you miss the live show, check out our archive for up to two weeks after broadcast.